Contrary to what some may believe, backpacking sleeping bags aren’t “one size fits all.” What bag you buy should depend on your body type, backpacking climate, personal preference, and other variables. Before forking out money to purchase this expensive item, be sure to research what exactly you need and want, read reviews, and shop around. With hundreds of models to choose from, you don’t want to restlessly lie in your tent all night simply because of an inadequate sleeping bag. When purchasing a backpack, selecting one with an appropriate capacity, or volume, for the situations you’ll be backpacking in is essential. Think how long of trips you plan to use it for will be and in what season you’ll be going, as these factors will determine the capacity you’ll need to fit all necessary gear. See table for more specific guidelines for backpack capacity based on trip duration and season. General capacity guidelines depending on duration & season from Sierra Trading Post. Backpacks often contain a number in their name, such as the Osprey Mutant 38, which describes the capacity, or volume, inside the backpack in liters. They have become the standard unit of measuring, putting cubic inches in second place. This number embedded in the name is the capacity of the medium size, with each size differing by 3 liters. If you already have a your backpacking equipment, you want to be sure it will all fit in the desired backpack. 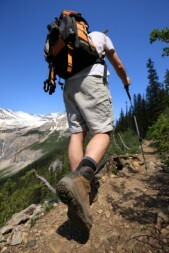 Many outdoor stores will let you bring your gear in, load your gear in your backpack, and walk around. This is a great option to know what capacity you really need. If you are updating or starting your system from scratch, consider purchasing lightweight or even ultralight gear. This “ultralight” mindset is made up of advanced gear and the willingness to give up conveniences for a low pack weight. Going “lightweight” is balancing weight-savings with comfort features. 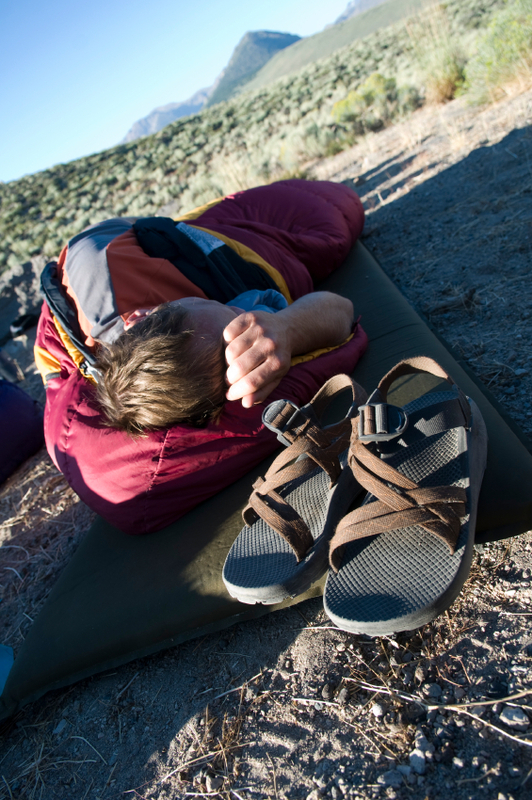 The “deluxe” mindset is giving up a low pack weight for comfort and convenience. It doesn’t matter which mindset you have, but finding the right size and capacity of backpack is. You must find the a balance between weight reduction and comfort to fit you. These days, almost all backpacks feature an internal frame design, however external frames are also available. The close-fitting and flexible design of an internal frame backpack enhances your balance and keeps your load stable on any terrain. This is ideal for many activities, such as mountaineering, skiing, scrambling and hiking in rough terrain. Internal frame backpacks also allow for more movement, letting your arms swing freely because of the narrow profiles. On the other hand, external frame packs help backpacks carry heavy loads. They also are divided into compartments, making it easier to organize and find items inside the pack compared to the single, main compartment of internal frame packs. External frame backpacks still exist, although they are hard to find as retailers are attempting to move away from them. Suspension system: This refers to the load-supporting system of shoulder straps, load lifter straps, a sternum strap and stabilizer straps. Packs offer either Adjustable or Fixed Suspension. Adjustable Suspension allows you to fine-tune the fit of your pack to match your torso size. Many feature a ladder-type system of rip-and-stick closure that let you move the shoulder harness up or down in small increments. Read Sizing and Fitting a Backpack for more information about adjusting the suspension system on your backpack.